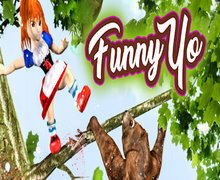 Funny Yo was available as a giveaway on November 22, 2018! How would you improve Funny Yo? I had fun playing this game. Made me feel years younger. Not as difficult as some games. Howe do you get the red key? Never mind I just found out. Brian, Never mind I just found out. Good to get a platformer, they are so hard to find. THANKS for all the games over the years. 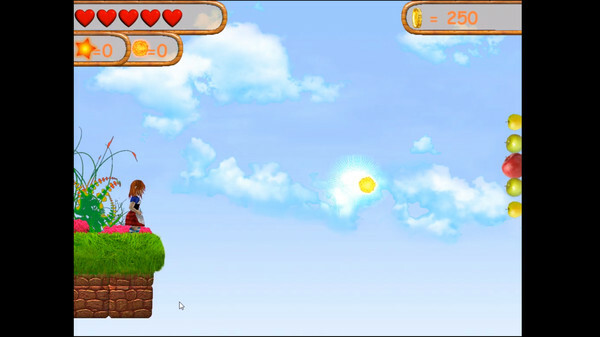 Pretty standard platformer. It will probably get a lot harder later. You can use the arrow keys for movement and jut need to remember to use the K key for shooting. L'installation n'installe rien du tout. L'installation n'installe rien du tout. Nothing was installed ! Franck, Your antivirus seems to block the installation process because the installer is wrapped with our software which limits the file installation to 24 hours only. Please have a look at Readme file for instructions. Yes, I pause avast and all works fine. Downloaded and installed. Simple but fun! I just downloaded another platformer last night because I missed playing them. Thank you! 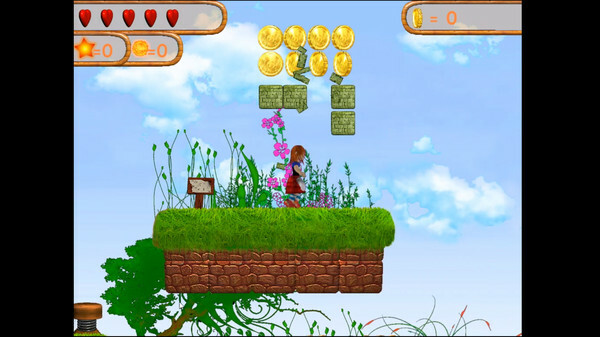 "This game, like Turtle Lu (another game from the same developer) is a terrible platformer slapped together in probably a day using premade assets and stealing music from sources such as Sonic the Hedgehog. Unlike Turtle Lu, however, this game is so poorly made that the autosave throws a bunch of errors at the end of each level, so saves don't work at all. In short, don't get this, it's the not-funny kind of trash. " Thanks for posting the review; however, I would also point out that the reviewer only played the game for 0.1hr which equates to approx 6 minutes. Personally, I think such reviews should be deleted from feedback on the Steam platform. It may be that the game is totally rubbish. As yet I've not had the time to even install it, but I do think it's unfair to post such information without reference to it's source i.e. CLICK HERE to see original source. Did you play the game to verify BippoErnesti's review? Most of his negative reviews of games, he's barely played, and some as little as 0hrs, yet he gives a thumbs down. 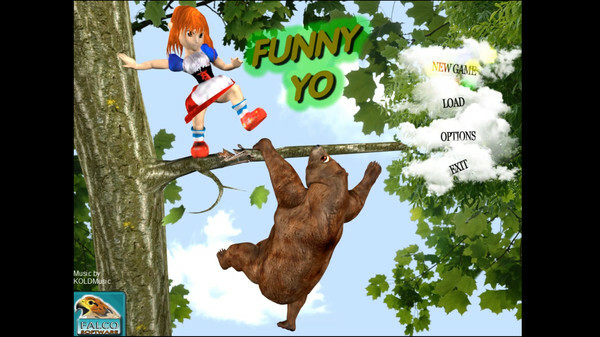 The DLC for this game called Funny Yo 1 & 2 he's given a thumbs down for both despite clocking 0 hours for both, i.e. he's not even played them. Unfortunately, no one else has yet posted a review for this game which was released on Steam April 2018. Addendum - after playing this game for several levels, I personally wouldn't buy it, but only because I'm not into most platformers (my all-time favorite platformers are Gish, Super Meat Boy and Wik & the Fable of Souls, all three are original and brilliant). 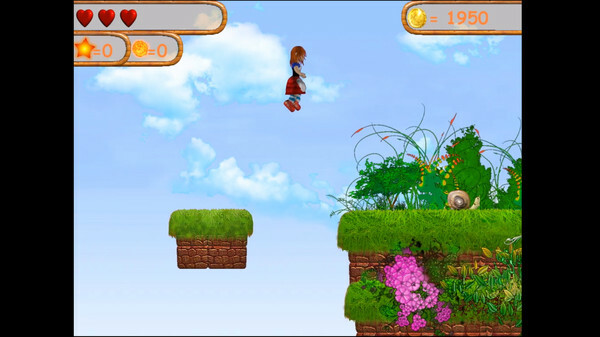 Funny Yo reminded me a little of those Turtix platformers we were given several years ago, though with retro-like graphics. The actual gameplay is fine. I would say ideal for 8 to 12-year-olds. I do agree that the developer has probably used one of those game engines available on platforms like Steam and has used readily available game assets that you'll probably see in other games, but that doesn't make it a bad game. Nach dem Klick auf Setup kommt ohne vorherige Installation eine Web-Seite mit der Meldung: "Lustiges Yo aktiviert - wie geht es weiter?" Elli Blank, Es könnte sein, das das Antiviruspakete etwas blockiert. Versuche ohne AV zu installieren. Elli Blank, Es könnte sein, das das Antiviruspakete etwas blockiert. Versuche ohne AV zu installieren.